Corner Bakery Cafe has a new option on their menu for those really indecisive people like me. No longer do you have to pick a full menu item after agonizing over if you want a sandwich or a salad. Yes, I'm one of those people who stands and stares at a menu waving people to go around me as I need another minute or two to finally make up my mind. 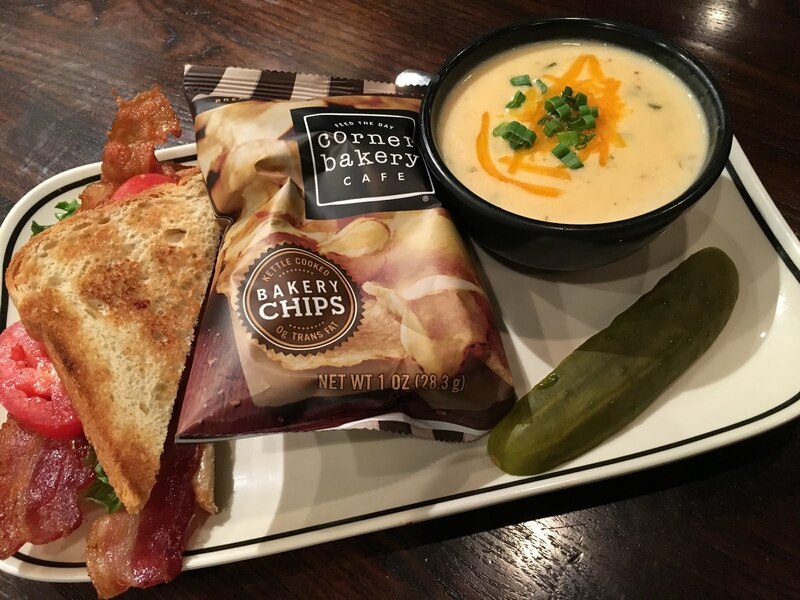 Corner Bakery has a new "Choose Any 2" Mix and Match option on the menu that allows you to pick out two of your favorites instead of just one. I stopped by the Oak Lawn location recently to check it out. Priced at $8.79, you could select two of any of the items on the menu to customize your meal. 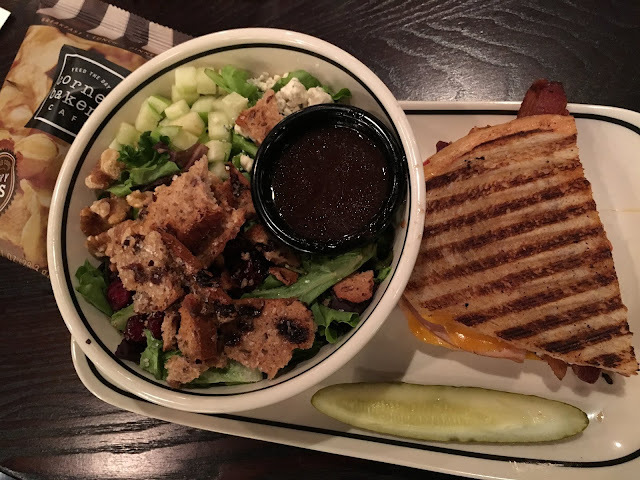 You could choose from a half of any of their sandwiches or paninis, a single grilled flat, a cup of soup, a scaled down serving of their cafe handcrafted pasta or cafe fresh salad. There are a lot of sandwiches places out there, but the addition of pasta to the menu is something that makes it stand out from the others. I dined there with my husband and three hungry boys (ages 11, 13 and 17) and they all went for the pasta along with a half sandwich. We each tried something different. I got a Harvest Salad with my sandwich and the portion was huge. Each meal also came with a bag of bakery chips. 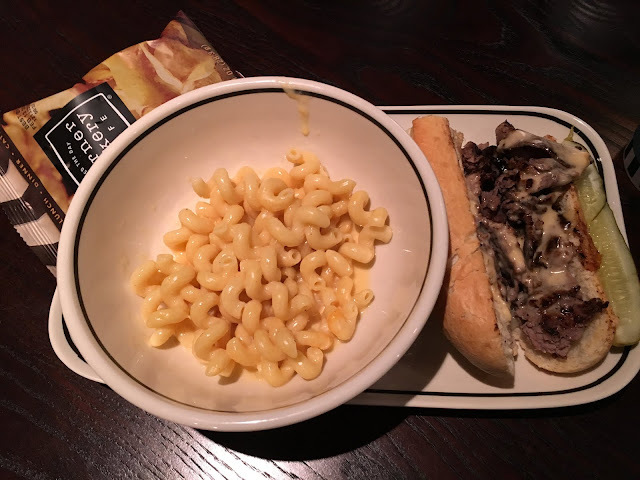 It was my first time visiting a Corner Bakery and I was very impressed with the quality of the food. The atmosphere was also quiet and soothing. 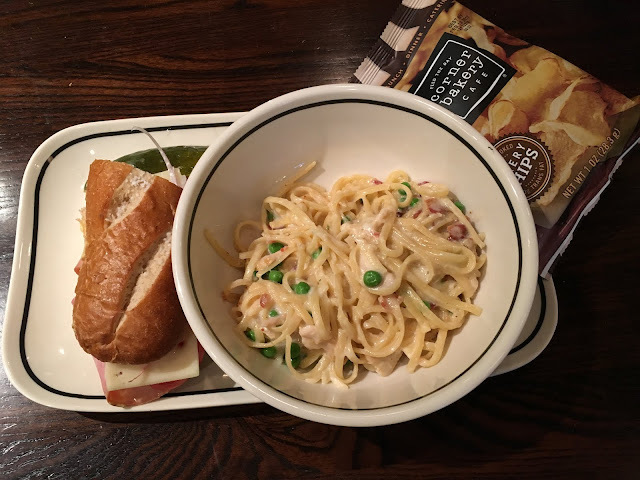 I also tried a bite of my son's Chicken Carbonara and I liked it so much I got an order to go and enjoyed it for lunch the following day. The best thing about the Choose Any 2 meal options is that it is limitless. 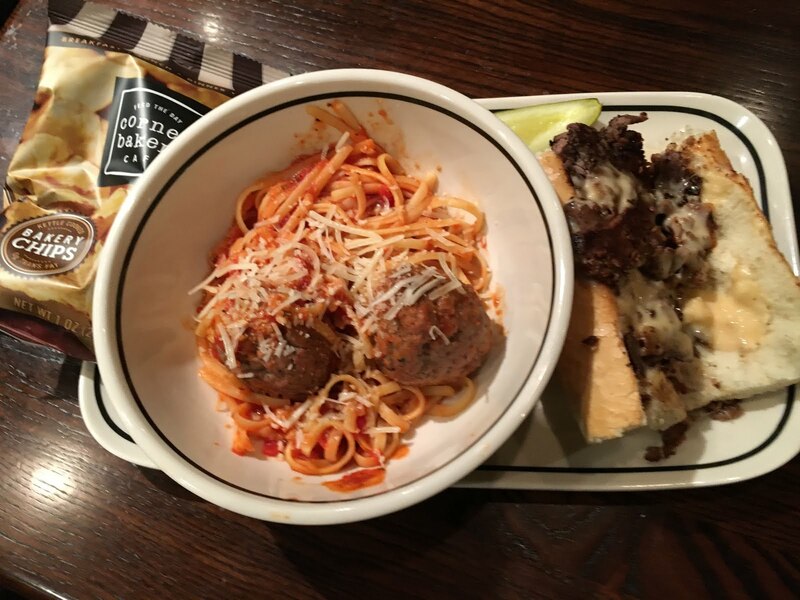 Your favorite sandwich or pasta isn't excluded. There's not an upcharge for a sandwich that has avocado or bacon. You look at the menu and you pick two things - easy as that. For more info on the menu, visit cornerbakerycafe.com. *** I did receive a complimentary meal for the purpose of a review. I was not compensated for this post. All opinions are my own.